Hematopoiesis is the continuous, dynamic and physiological process that ensures the daily production of some 400 billion cells of our blood, a huge activity carried out by a small population of bone marrow cells: hematopoietic stem cells. Since 2012, my laboratory has attempted to understand more about the abnormalities of this process involved in several severe illnesses like Acute Myeloid Leukemia (AML) or Acute Lymphoblastic Leukemia (ALL) through research programs conducted in partnership with the translational medicine team in Hematology led by Professor Vey at the IPC. By drawing on innovative imaging technological platforms and single-cell molecular biology, we develop animal models to characterize the interactions between normal or pathological hematopoietic stem cells and the medullary microenvironment. These interactions being the cause of resistance to therapies among patients with leukemia, our study models help to identify new potential therapeutic targets in preclinical models of personalized medicine. 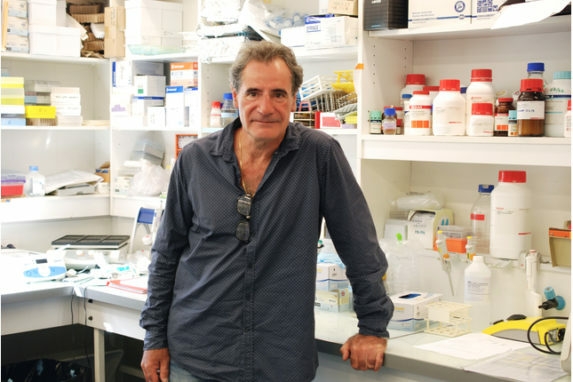 This approach at the interface of clinical, academic and translational research that is very dear to Marseille Immunopole must lead to the setting up of new adjuvant therapeutic strategies to reduce the resistance to therapies and the frequent relapses in these illnesses.